Litter born 8th August 2014. 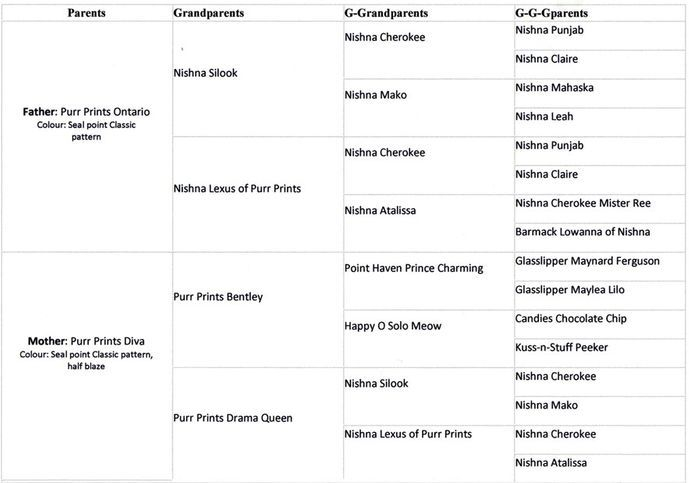 Sire: Purr Prints Ontario (Can) Dam: Purr Prints Diva (Can). Two beautiful male kittens, names for major Canadian cities after their parents! Skiboots Montreal - Blue Point Mitted male. Skiboots Toronto - Seal Colour Point male.